Construction group Willmott Dixon has won the brief to build a new £46.5 million engineering school at the University of Birmingham. The school of engineering was formed by the Edgbaston institute in 2016 and includes the disciplines of civil engineering, mechanical engineering and electronic, electrical and systems engineering. The building will house both the school of engineering and a rail innovation hub which is aiming to establish a world-leading centre of excellence and research for digital systems such as railway control and simulation and cyber security. The centre, which has been designed by Birmingham-based Associated Architects, will have design and research space, offices, meeting rooms and labs. This is the latest project Willmott Dixon has been appointed to by the university - previous contracts include a new research data centre and the &apos;Green Heart&apos; development to create new public space on the campus. 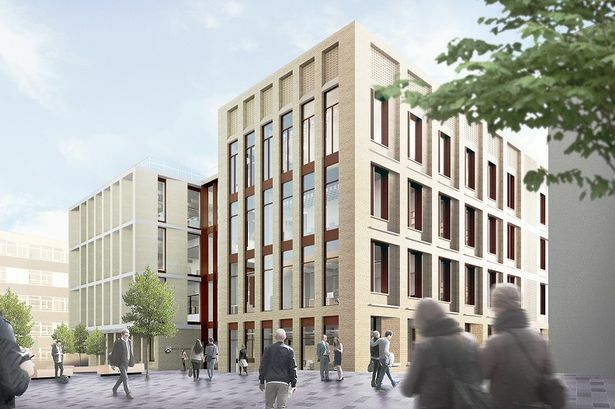 It is also working on a new teaching building for the University of Birmingham School which will welcome its first intake of year 12 students once completed in 2020. The firm also recently opened a new central Birmingham office at One Snowhill. Nick Gibb, deputy managing director for Willmott Dixon in the Midlands, said: "The new school of engineering provides a clear visual statement for the university. "It will be driving interest in the science, technology, engineering and maths, something that we will be supporting ourselves through the creation of opportunities for work placements." The relocation of the school of engineering to this new building is part of the university&apos;s masterplan to bring schools together on the campus creating, in this instance, an engineering hub. Daniel Holmes, senior project manager at the University of Birmingham, added: "This new building represents a celebration of engineering and will be a centrepiece of our new engineering hub. "The ongoing collaborative relationship that we have with Willmott Dixon, along with the quality of delivery of their completed projects, gives us significant confidence that they will deliver this landmark building. "The school has been designed, and will be delivered, with collaboration between the university and industry at its heart, enabling research and teaching excellence to be celebrated and showcased."